Phase-correction: Enhances resolution for excellent detail. Silver coated prisms: High-reflection silver coating on the prism surface for the brightest images. 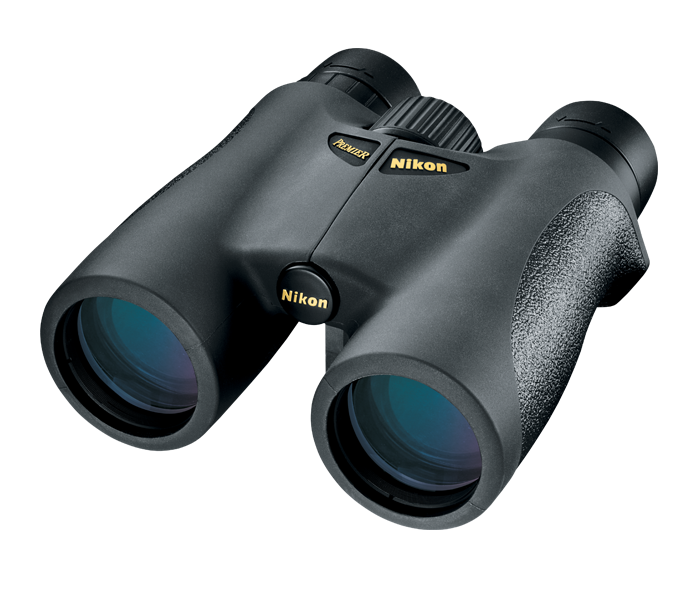 Nikon’s exclusive field flattener and eyepiece design: For remarkably sharp, clear viewing. Quick, central focus knob: For fast subject acquisition. Durable and protective, rubber-armored coating: Provides a non-slip grip, wet or dry. Sturdy, die-cast magnesium-alloy body: Cuts weight without sacrificing durability. Turn-and-slide rubber eyecups: With multi-click adjustments are extremely eyeglass-friendly.